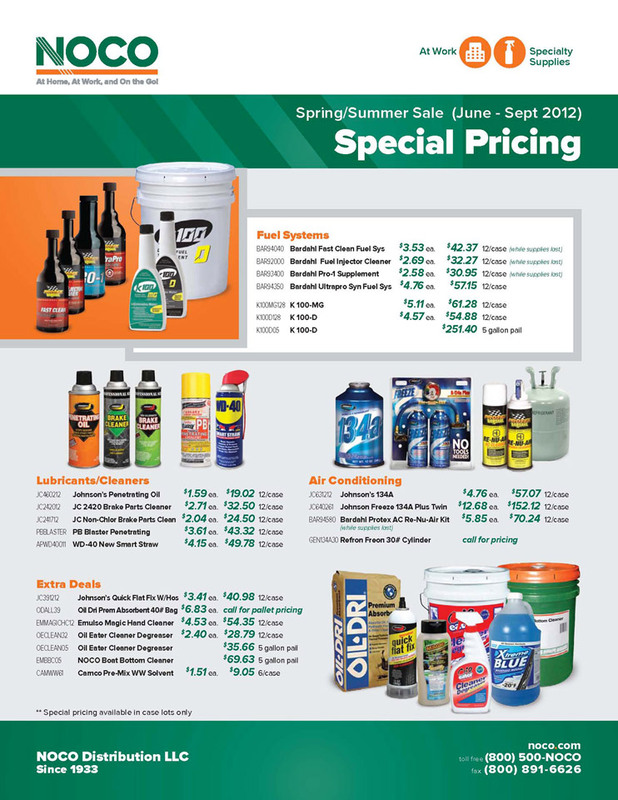 This is a collection of sales and price sheets I’ve created. 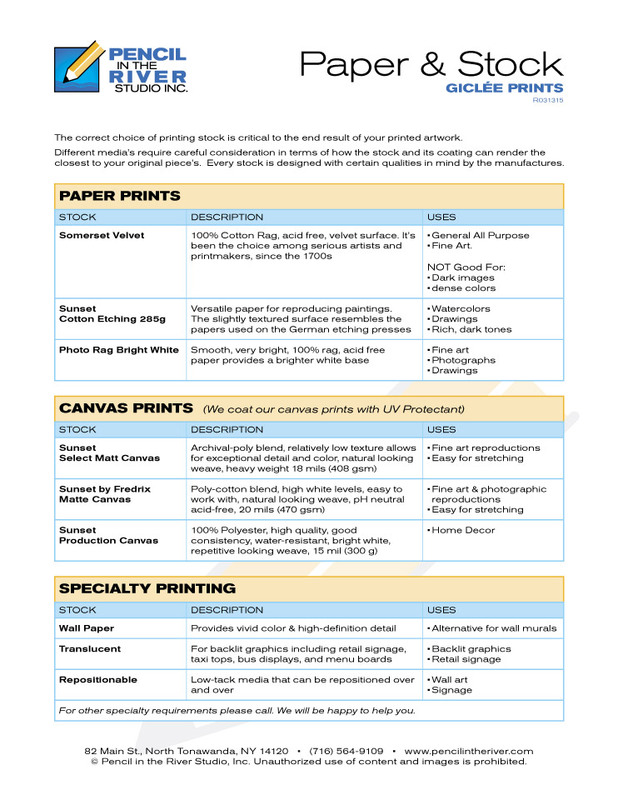 A sales sheet typically features product or service benefits and/or pricing in a one-sheet format and helps help customers make buying decisions. 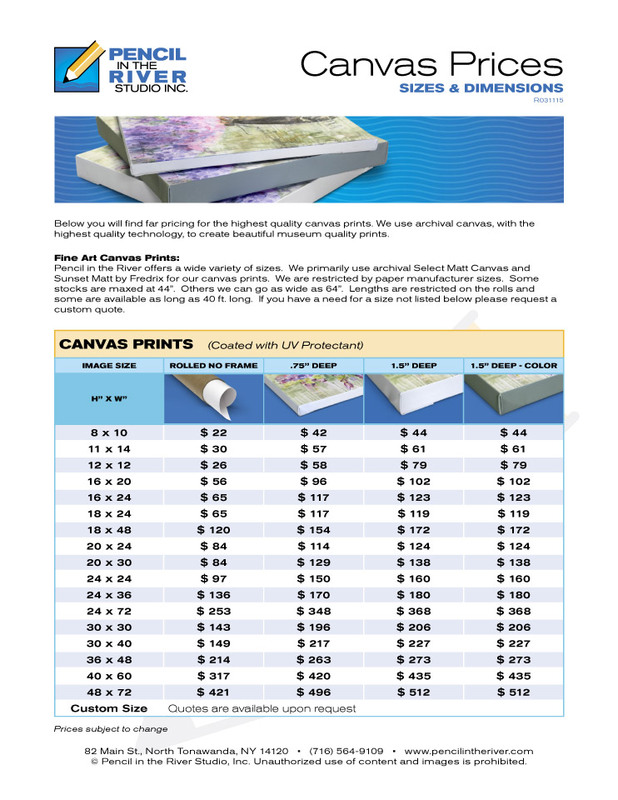 A cost sheet might include the material costs, labor costs and overhead costs of a project, service or product. 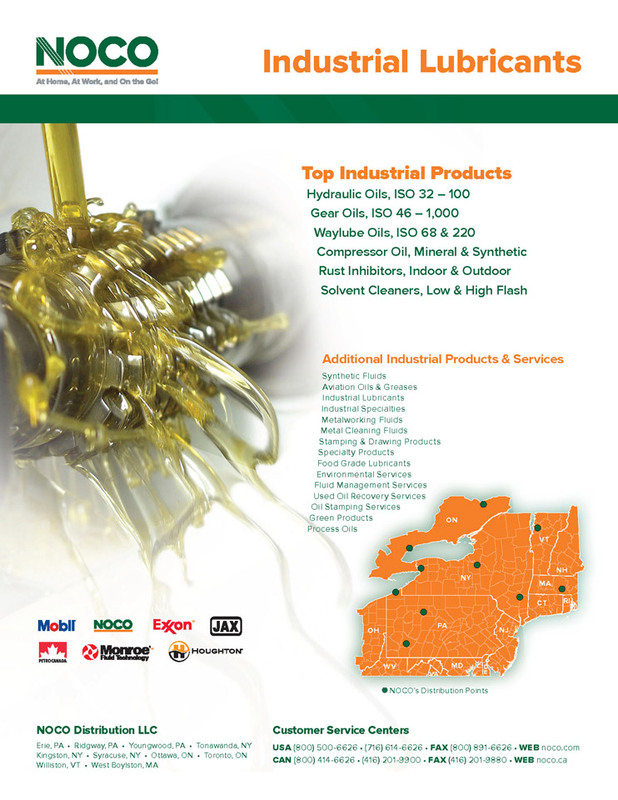 For this flyer I had to create a locations map, find a image with lubricants pouring on machine parts (which was difficult to find), and add a list of products. I wanted to stay with the NOCO style and remain consistent at the same time. I chose to keep the NOCO logo in the same spot and the green bar at the top. 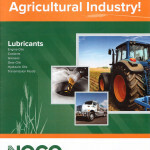 This flyer was created for the NOCO Distribution division to promote products they distribute. 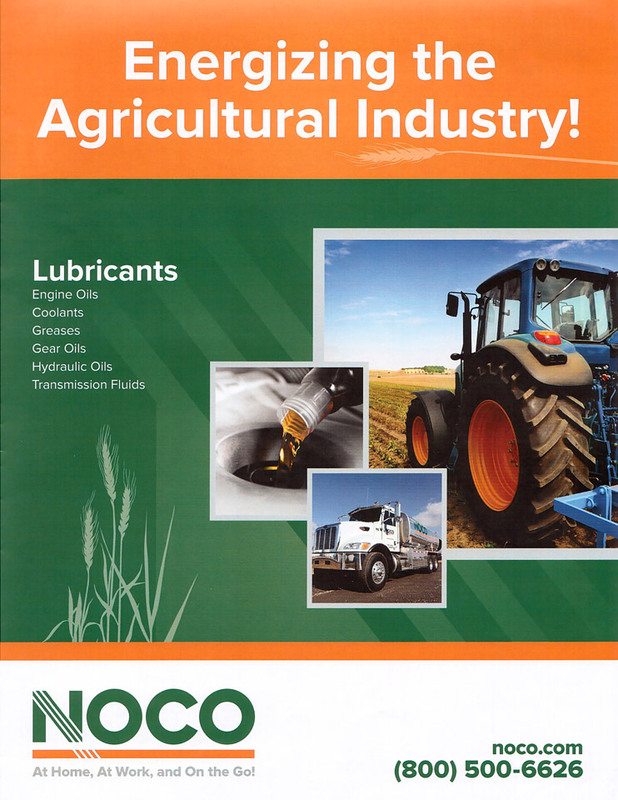 For this mailer I had to create the layout from scratch as this was the first of it’s kind for NOCO. To make the tractor pop off the green I decided to go with a glow around it. There were also lines pointing to the areas particular products could be used. 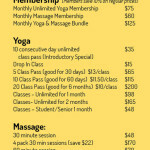 This pricing menu was created for a yoga wellness center. 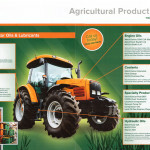 On the front is an image of the owner, and testimonials. On the back are their services and prices. 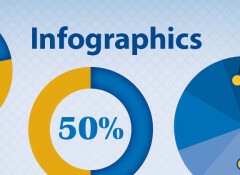 I wanted to utilize the sun graphic from their logo as graphic elements on their marketing materials. Creative direction, layout, typesetting, color correcting. 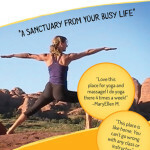 Client: Pencil in the River Studio, Inc. 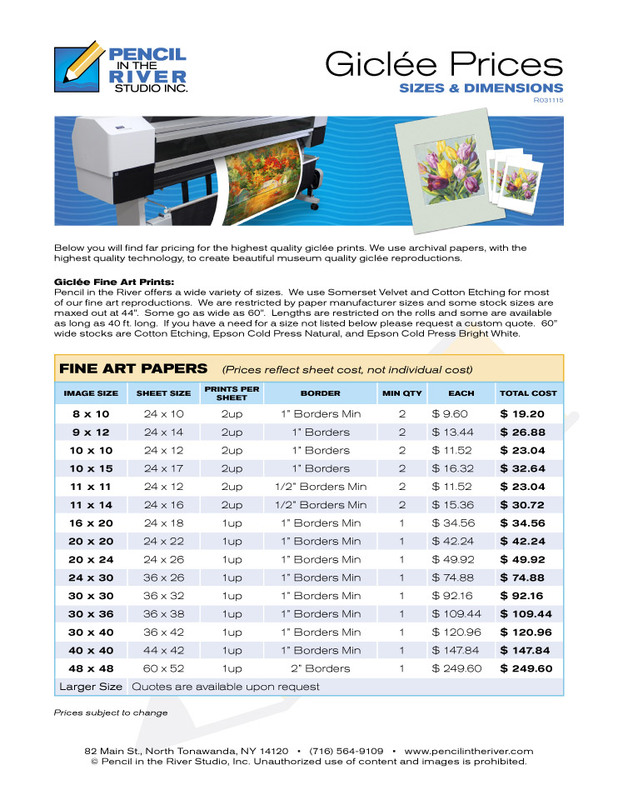 This company does photo reproduction work for artists. 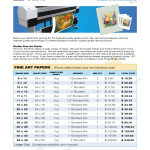 These sell sheets were given to their clients to help promote their printing service. 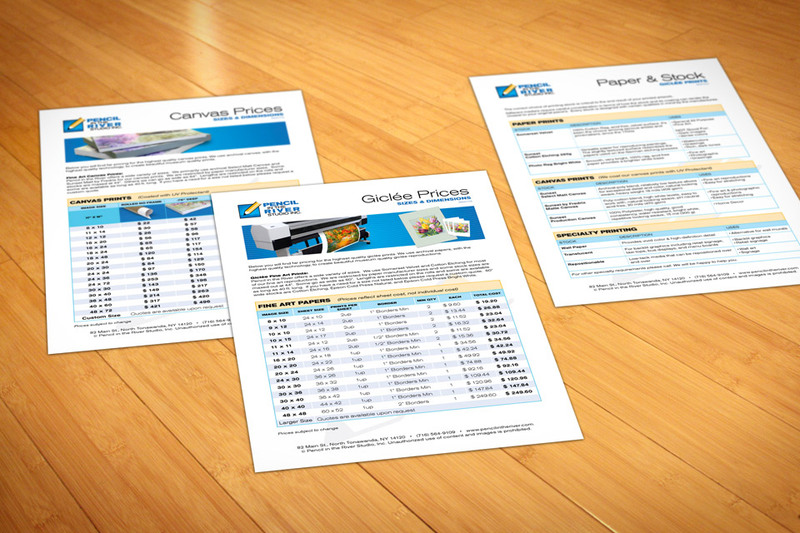 I had to start from scratch as they never had marketing materials before. I created a new logo, as well as a whole new style. All the tables were created in InDesign. 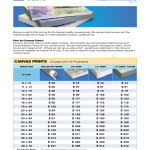 This sales sheet describes the various paper stock that the company caries for their printing service. 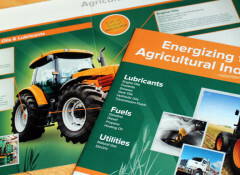 It outlines the types of paper and what their uses are. 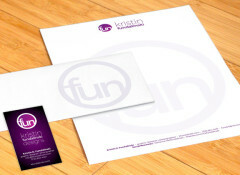 I had to start from scratch as they never had marketing materials before. A new logo was created, as well as a whole new style. All the tables were created in InDesign.